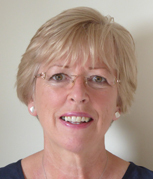 I have a small, private Counselling and Psychotherapy practice that has been established in Northampton for over twenty five years and which also serves the surrounding areas of Wellingborough, Kettering, Milton Keynes, Coventry, Leamington, Leicester and Rugby. 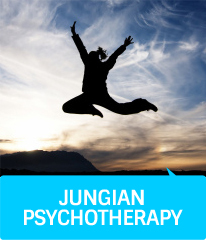 People are prepared to travel quite long distances to see me because of my experience and expertise and because I am trained as a Jungian Analytical Psychotherapist as well as a Counsellor. Following my Psychology Degree I did a full-time Postgraduate Diploma in Counselling which had a major focus on Cognitive Behaviour Therapy (CBT). It also covered other theoretical approaches, and Psychodynamic Counselling is where I made my professional home because it makes sense to me that we are shaped by our earliest experiences in life and that these provide the template for how we operate in the world. 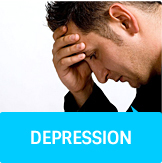 Many people who come to see me suffer with underlying anxieties of one sort or another and/or depression and in spite of appearances to the contrary may feel insecure and lacking in some essential confidence and self-esteem deep inside. This is due in large part to the patterns that are formed in early relationships which then get repeated later in life. These patterns often come to light in the relationship that is formed between the therapist and the client. Research shows that the most important factor in determining how successful the work will be is the relationship between client and therapist, not the theoretical approach. In fact, experienced therapists from any school have more in common with one another than an experienced therapist and a beginner from the same school, which I think is interesting. Another overlooked piece of research is that success (whatever that means!) in therapy is highly dependent on the client so not surprisingly, healthy, well motivated individuals tend to do better. If we take a moment to think about it, this is just what we would expect. When I finished my Diploma, I did a Relate Training, in part to gain more experience and because I was interested in working with couples. You will see that I offer a 'Couples Clinic' which enables people to deal with problems in their relationship and/or which enables couples to split up if that is the best way forwards. I also, early in my career, worked full time for several years in a day and residential unit for people with alcohol and drug dependency issues. Again this work used a largely Cognitive Behaviour Therapy (CBT) approach both individually and in groups so this gave me a good foundation to then begin my own practice. 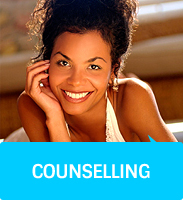 I combined my Counselling and Therapy Service with teaching at Leicester University and at local colleges in the field of Psychology, Childcare and Counselling. In due course, I completed an intensive four-year Jungian training in Psychotherapy (1999-2003). Currently I am invited as a guest lecturer to teach on psychotherapy trainings or to run days for organisations around particular themes such as pre-retirement or 'staying alive' professionally towards the end of a career. It is my individual and couples work where my heart lies and this is how I spend most of my working week. Please get in touch with me if you would like to get some help. You will be assured of a warm, professional welcome. Copyright © Debra Harris. All rights reserved.